Problem is the latest L.A. spitter to drop a freestyle for Dre in The Pharmacy. With two acclaimed projects this year, his Hotel 2 tape as well as last month’s joint Rosecrans EP with the legend DJ Quik, Problem has positioned himself as one of L.A.’s hottest acts. 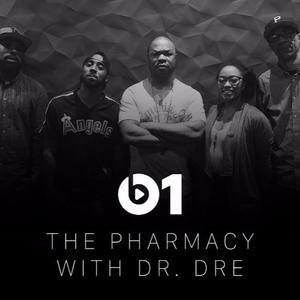 Earlier today, Problem met up with another Compton OG, as Dr. Dre invited him to guest on his Beats 1 show, The Pharmacy, and challenged him to drop an on-air freestyle, as he’s done with past Pharmacy guests like AD, King Los, Kurupt, and more. Shortly after the show went live, Problem shared an unedited recording of his Pharmacy freestyle to his SoundCloud. He brings a fiery flow to a knocking old-school beat. Those who missed out on Rosecrans the first time around can stream the full EP here.